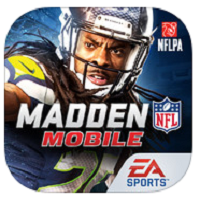 Madden NFL Mobile is the mobile version of the popular video game from EA, and just like the console version, there’s something here to satisfy every football fan. The graphics and sounds have improved and more than anything else, the gameplay has been improved, and it certainly looks like EA has paid attention to fan feedback. Madden NFL Mobile has IAPs, but they’re not necessary for you to enjoy the game, and you don’t have to pay with the game’s currency to use plays that have been locked. In addition, the playbook you get at the start of the game has been expanded, and new plays are unlocked more frequently than in the past. As pointed out earlier, one of the strongest points of Madden NFL Mobile is the graphics, as the visuals and sound effects are as realistic as they come on mobile devices today. The AI has also been improved compared to the previous season’s release. Once the game starts, you’ll become part of an immersive football game. To build your dream team you need to use the in-game currency so you can get an advantage over the opposing team in terms of statistics. The game also has energy units or stamina, and if you level up it will refill. In addition you can also get bonus plays and new modes as well. The biggest attraction here in Madden NFL mobile is the number of modes available. You can challenge random opponents, progress through the season or play against your friends. If you like the NFL, then you’ll enjoy this.